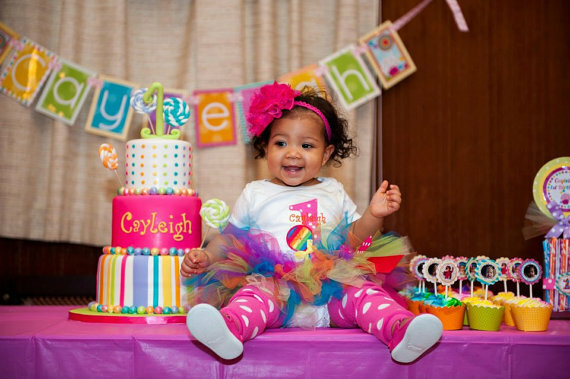 Your little princess is sure to be a hit on her special day with our delicious rainbow lollipop birthday tutu outfit great for Candy Land birthday party themes! 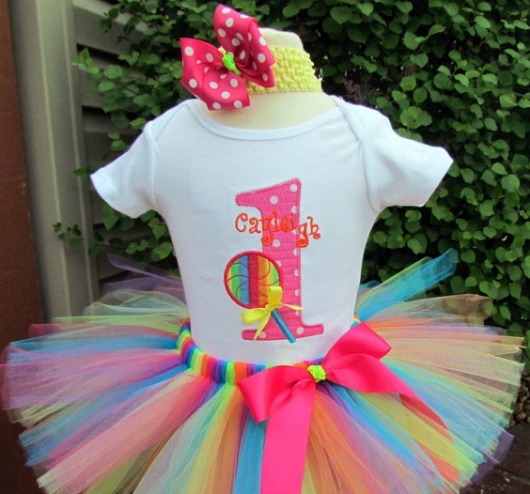 Persoanlized Boutique rainbow birthday Lollipop Shirt or Onesie (Created on a shirt or Carters onesie) Sizes 12mo.-4yrs. Some of our products are made with rhinestones and/or sequins or other small items that could pose a choking hazard to children under 5 if they come loose, we do not recommend selecting these extras for small children under 5 however if you do please supervise your child carefully ~ ChristiCreations cannot be held responsible for any incidents that occur if you choose to add these extras to your purchase.